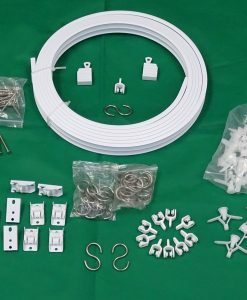 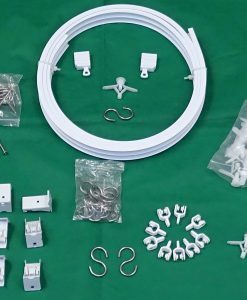 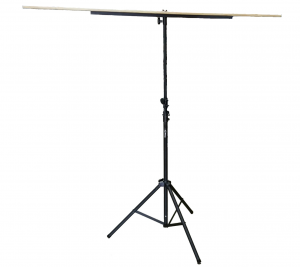 Our Universal Stand is a great addition to some of our most popular products. 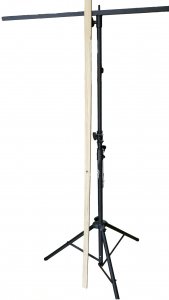 This stand can hold up to 50 pounds and goes up to 9 feet tall and weighs just 11 pounds. We have added a threaded mic mount to enable it to work with typical mic mounting screw on type accessories. 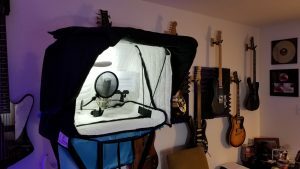 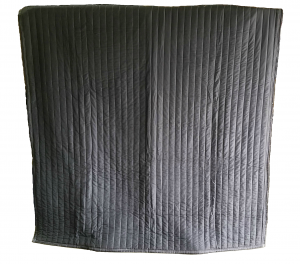 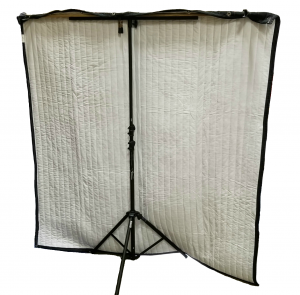 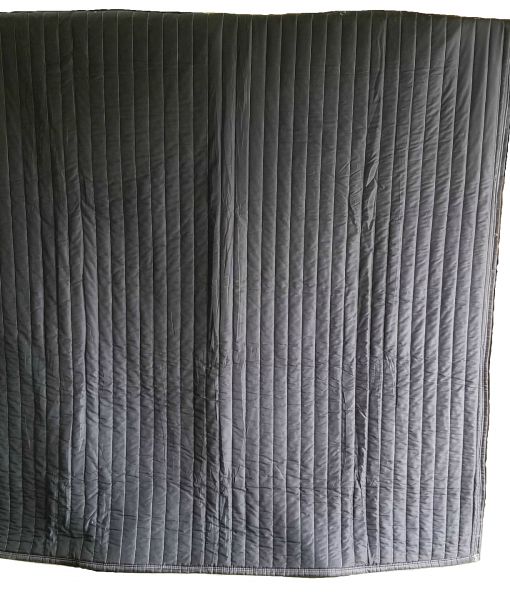 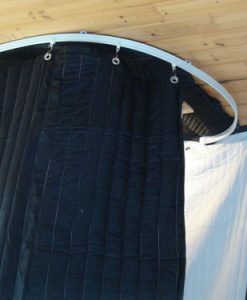 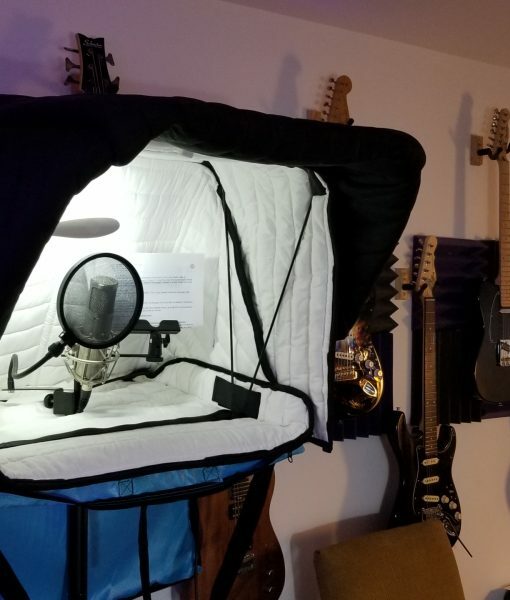 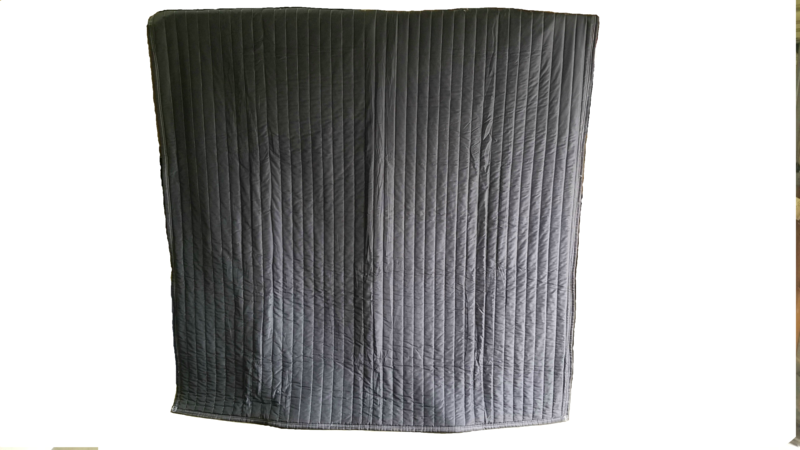 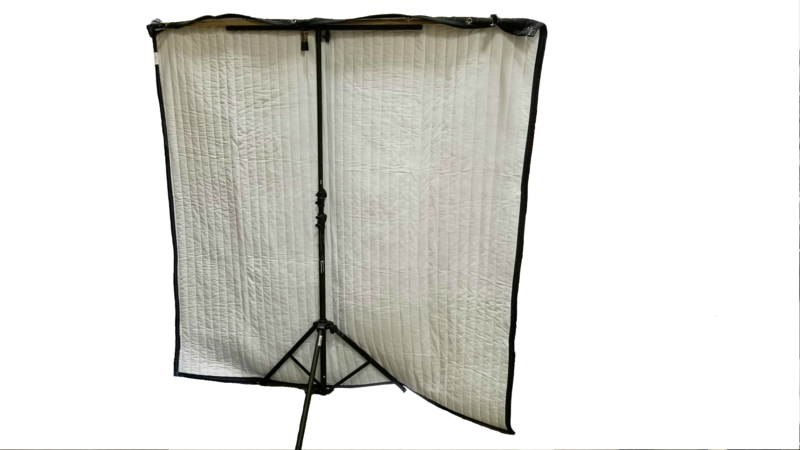 With a little modification using a 6 foot strip of wood, you can hang a full sized Producers Choice Blanket fully open, freestanding to move wherever you need without having to hang on a wall or ceiling track. 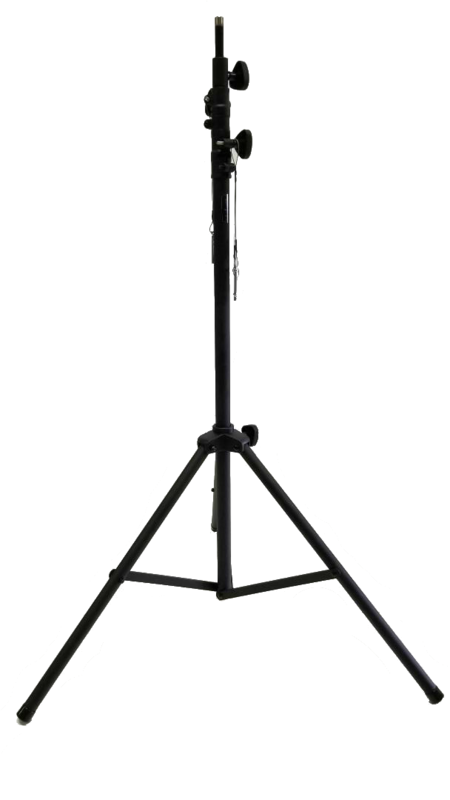 This stand can be used to hold our portable carry-on booth, VOMO, rock solid recording for standing performers. 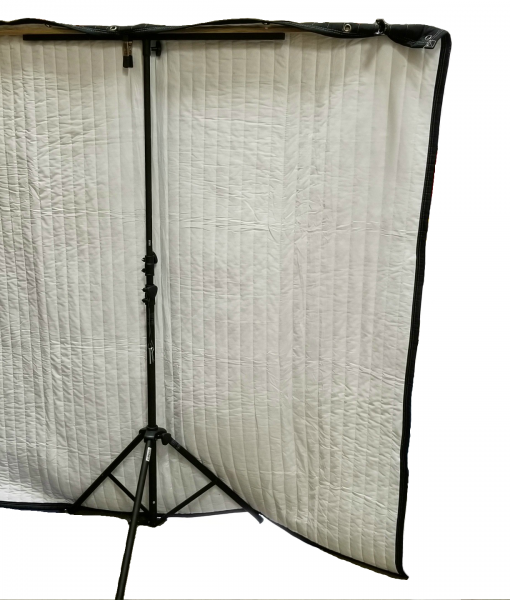 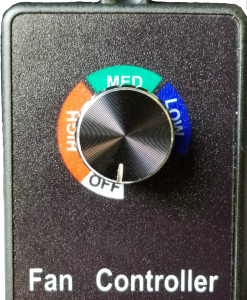 This would also work great when using the GOBO, a thick sound blocking panel used to separate musicians, block noisy AC units, just about anything. 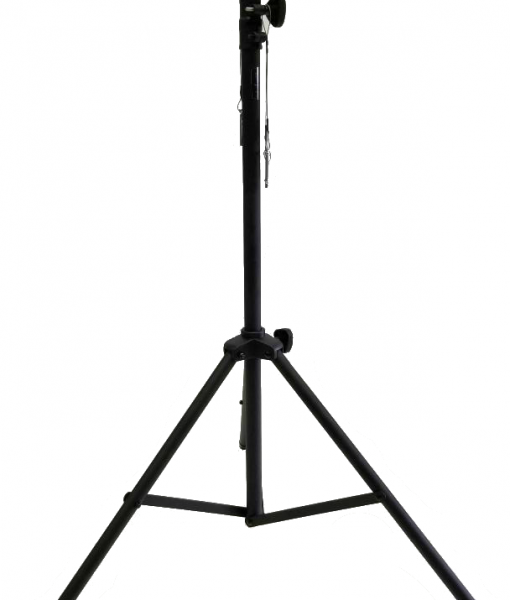 The stand would allow a very flexible and solid support for a setup.